Need an Extra $5K in Your Pocket? Learn how to find, save, and earn more money in this free email course! How Do You Find $5K? 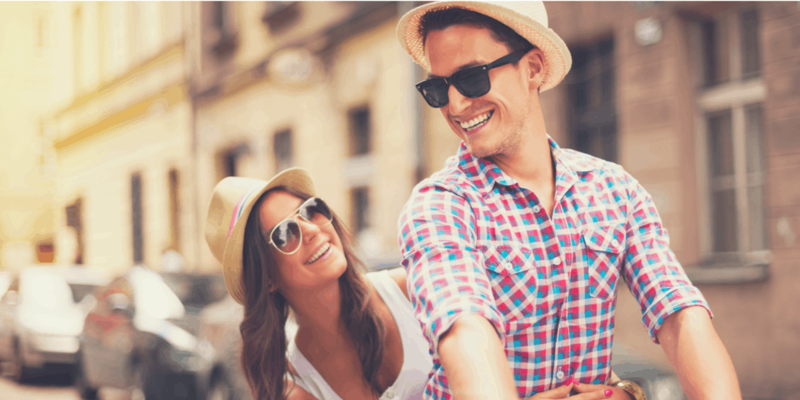 If you're like most couples here in the Couple Money community, you're aware of what you need to do to start building wealth - pay off unnecessary debt, stash away a financial cushion, and invest for your future. The question your have is - Where do we get the money to do that?! If there were extra money laying around, you'd be using it to knock out that debt and building your stash, but it's not there. This is where the 5 Days to $5K program can help. It's designed to take you through step by step how you can optimize your current budget, save money by getting the best deals, and how to earn extra cash on the side. We've used many of these same strategies and tactics to pay off over $30,000 of debt! Plus I've included new ideas and tips based on what what's worked for the couples I've interviewed on the podcast who have paid off massive amounts of debt, saved for their biggest dreams like (traveling the country and world together), and became financially independent. Are you looking to pay off debt faster, save for emergencies (or even a vacation! ), or buy a home? The tough part for many couples is finding the money to fund what's important for them. 5 Days to $5K course is designed for couples who are looking to find, save, and make more money this year! These lessons also share how you can automate your money so you can achieve your goals faster!